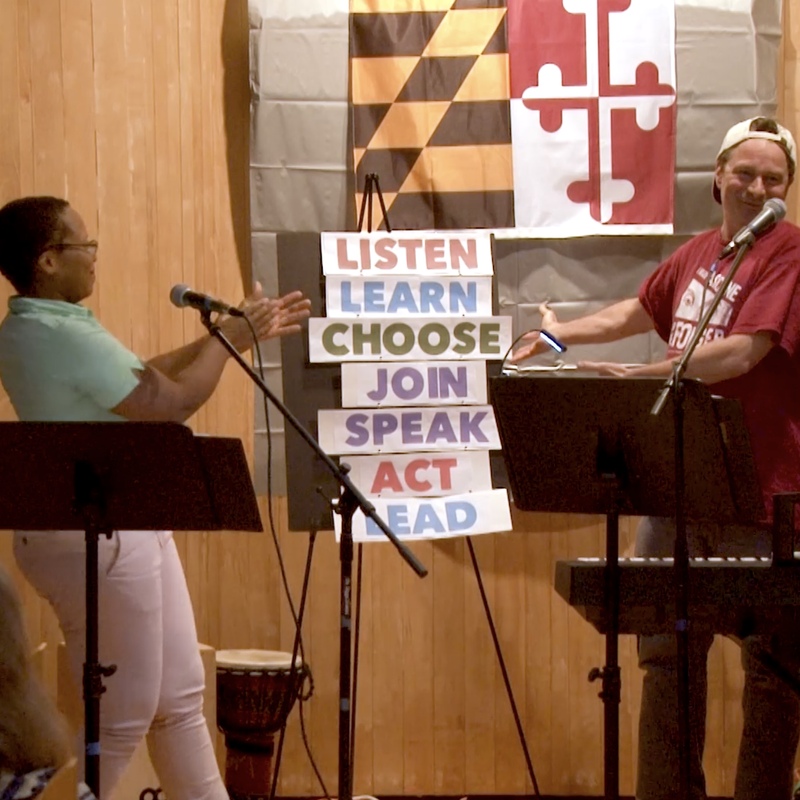 The Civic Circle – A nonprofit that uses music and drama to bring democracy alive for primary school students via assembly and after-school programs. 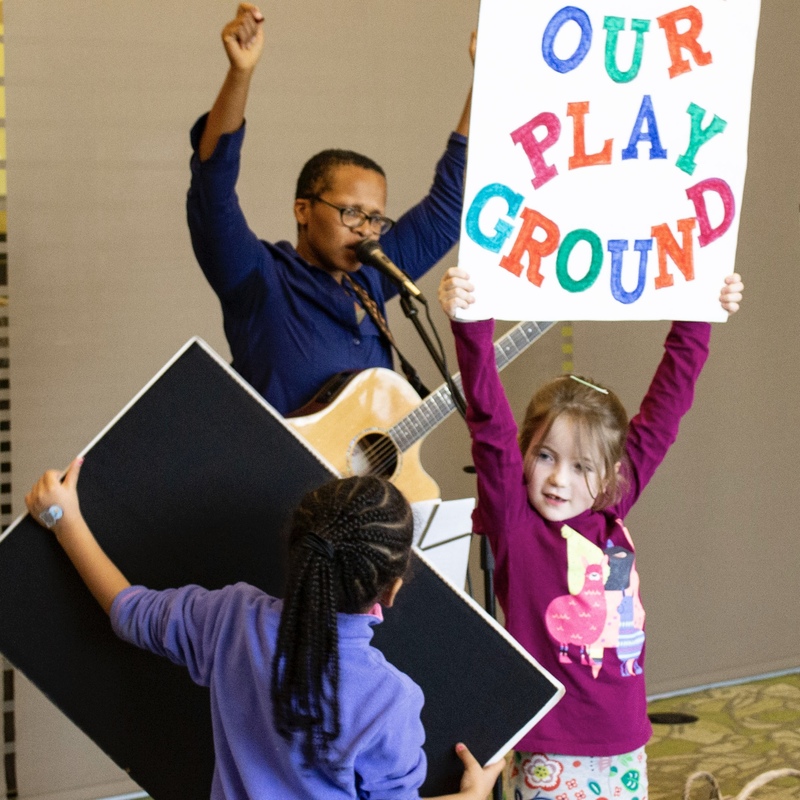 The Civic Circle is a new nonprofit based in Silver Spring, Maryland, that sets out to bring civics alive for very young children with music and drama shared in assembly and after-school programs. Our program meets young kids at their level, and links the arts with learning by inviting students into a creative process. 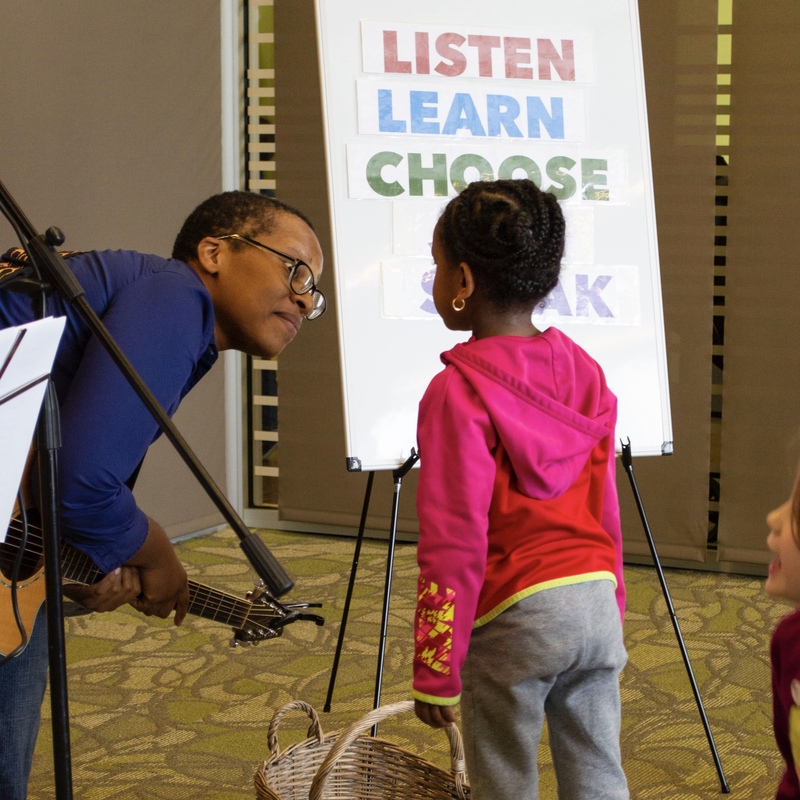 Through song and story, kids learn about seven "steps to democracy," each captured with a single word that grabs the attention of young children: Listen (civil discourse), Learn (media literacy), Choose (voting), etc. Teachers are invited to enrich the program with such activities as a parliamentary-style debate, a mock election, or a public service project. By getting elementary school-age children excited about democracy, we are cultivating the next generation of active citizens. At a time when many young people lack basic knowledge about government and public life, the need for civic education has never been greater. The Civic Circle breaks new ground by getting kids excited about democracy in elementary school. Many existing civic education programs focus largely on middle and high school students. Yet very young children readily understand such concepts as fairness, respect, truthfulness, equality, having a voice and helping others. The Civic Circle also sets itself apart by using the performing arts to bring democracy alive for kids.The centerpiece of our program is a multicultural, participatory assembly show, "Vote for Me!" that includes a mock election and original songs about the Constitution, voting and public service. Civic Value: Public Leadership, Running for Office. The Civic Circle's seven "steps to democracy" are based on core values that are widely shared by Americans from all walks of life, and that are relevant to adults as well as kids. Concepts: Respect, dignity. There are lots of different kinds of people in our school, our community, our nation, our world. Does different mean worse? People of good heart can disagree, and sometimes we have to compromise. Can you argue the other side of a topic? Concepts: What do you really know? How can you tell if what you are hearing is true? In a game of telephone, does information change as it travels down the line? Do you believe everything you hear in the hallway? Would you repeat it? Are you responsible on social media? Concepts: Who has the power in your home, school, community? Do you think you have to wait until you are 18 to vote, or that your voice doesn’t count? You have choices today, as in when the family votes what movie to see, or your school chooses who will represent the student body. Do you know who is running to represent you in school, community, state and nation? Concepts: You have more power than you think. People are more powerful when they work together. You are a member of many communities: Your school, your neighborhood, your town, city and country. Can you help someone in need, or fix something that is not working where you study or live? Concepts: You have a right to free speech, and a right and responsibility to tell your story. There are many ways you can make your voice be heard. The people in power are there to represent you, and they care about what you have to say. Do you want to speak at a public meeting, or write a news outlet or politician? Concepts: When you see something wrong, or someone being treated unfairly, do you speak up? How can you be part of a solution, instead of part of a problem? How much change can you bring about when people work together? Can you organize a park cleanup day, book drive or food drive? Concepts: Anyone can grow up to be president, including you. And even if you don’t become president, you could be mayor, a school principal, or the head of an organization that helps people close to home or all over the country. Once you have thought about something, what can you do about it? Where are you going?